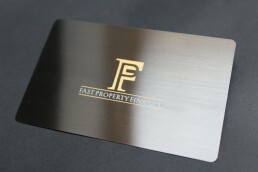 Our prices include our free design service, with unlimited amendments, so that you receive metal business cards that you are 100% satisfied with. 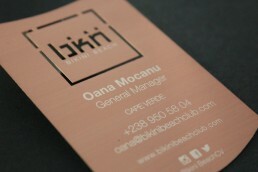 All cards featured on our website fit into our standard pricing (except larger size metal invites). 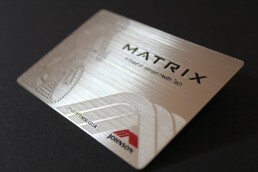 We can also produce 500, 600, 700 and 800 micron thickness cards. Contact us for a quote. Please contact us for a quote for pricing regarding metal membership cards with individual QR codes, barcodes and magnetic strips. 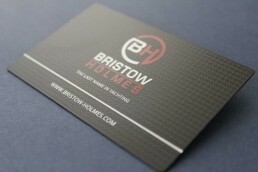 Call us on 0208 13 321 13 for a chat, alternatively you can drop us a message on our contact page. If you have files to send us, you can upload them on this page. We are looking forward to hearing from you. © 2018 – 13th Element – All rights reserved, T&Cs.